If your kids are anything like mine than you know what a hassle meal time can become. 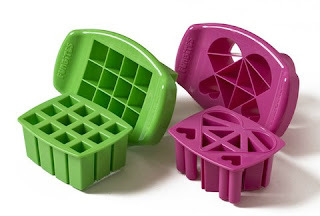 Thankfully there is a new tool for our mommy arsenal called FunBites. 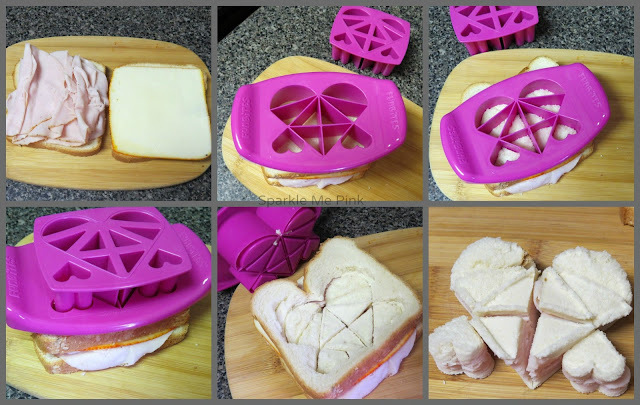 Created to make meals time a fun experience again the sandwich shapers come in two adorable styles. One being a square/cube puncher outer and the other which punches out a cute mosaic heart. The one that Funbites has sent me to try and review for y'all is the heart shaped one. 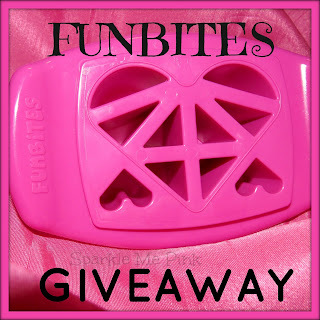 Enter the Rafflecopter below for a chance to win your choice of one FunBites. Don't want to wait for the giveaway to end to get your own FunBites ?? Check out their online shop HERE. Sparkle Me Pink and the participating bloggers cannot be held responsible for the delivery of this prize. That is the responsibility of the sponsor FunBites. If you have any questions please reference my disclosure policy page or email me. This giveaway is not sponsored by, endorsed by, or affiliated with Facebook, Twitter, or Pinterest in any way. I would want the heart.